There may come an absurd day when we become one of those people who suffer from having leftover Champagne, and choose not to slug it back in mimosas on New Year’s Day. These two recipes call for the tail end of a bottle, and sound quite good. Combine flour and 1/4 tsp (1 mL) each salt and pepper in a large plastic bag. Add chicken to flour mixture and toss to coat. Melt butter with oil in a large nonstick frypan over medium heat. Add chicken in batches and saute until golden brown and cooked through. Transfer chicken to a plate. Add champagne to pan. Bring to a boil, scraping to loosen browned bits. Return chicken and any accumulated juices to pan. Reduce heat and simmer for 2 minutes. Stir in cream, tarragon and remaining 1/4 tsp (1 mL) each salt and pepper. Simmer until thickened, about 5 minutes. Stir in grapes; cook for 1 minute. 1. Cut 8 pieces of parchment paper (or aluminum foil) into squares large enough to cover each fish fillet and leave a 2-inch border all around. Lightly brush 4 squares of the paper with olive oil. Preheat the oven to 350 degrees. 2. Put each halibut fillet in the center of an oiled square and drizzle with Champagne. Add 2 sprigs of thyme, 2 lemon slices, 2 parsley sprigs, and 1/2 teaspoon fennel seeds to each piece of fish. Season with salt and pepper. 3. Place the remaining parchment squares on top of the fillets and fold up the edges to form packets. Simply double folding each of the four sides is enough to seal each packet. Put the papillotes on a baking sheet and bake in the preheated oven for 10 to 15 minutes. 4. Serve by setting each papillote on a plate. Let your guests open their packets and spoon the juices over the fish. Voilà drama as well as flavor! N.B. You can use dry white wine or vermouth instead of champagne. White wine, lobster, cheese, butter. What’s not to love? Now refill my bubbles and let’s eat! 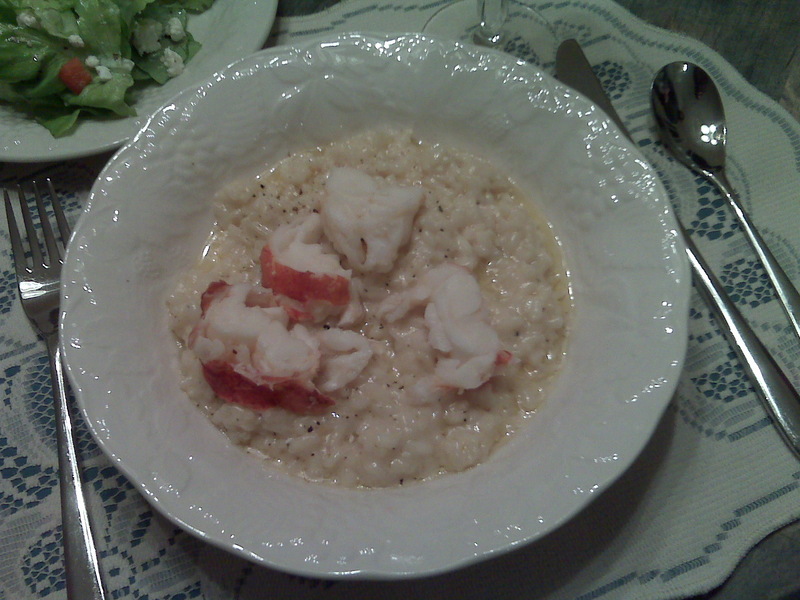 We are still monkeying around with lobster risotto: considering adding saffron, cognac and browning the butter as we poach the lobster tails. A luxurious dish from Rouge’s Paul Rogalski. Perfect to warm them up on a cold winter night. Heat 2 tablespoons olive oil in a medium saucepan. Stir in mushrooms, and cook, stirring, until lightly browned. Add lobster meat and cook for 1 minute. Raise heat, stir in brandy and cook, stirring, for one more minute. Remove from heat, and set aside for future use. Heat remaining olive oil in a large saucepan. Stir in shallots and cook over medium heat until shallots are translucent. Add rice and stir continuously until all grains are coated and rice is shiny, about two minutes. Stir in white wine. Cook, stirring for two minutes. Stir in half the lobster broth and continue to cook, stirring continuously. When broth is absorbed, add remaining broth one cup at a time. When all liquid is absorbed, check rice for tenderness. If tender, gently fold in the lobster and mushroom mix and the cheese. Place in serving dish and sprinkle with chives. Serve while hot! 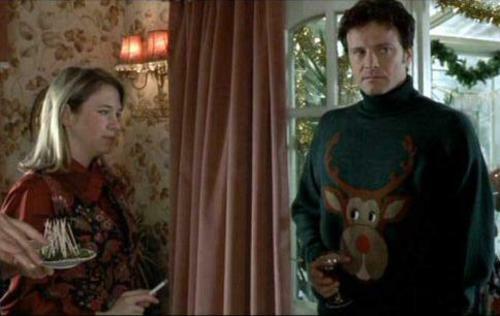 The moment we watched Bridget Jones subjected to an annual New Year’s Day turkey curry buffet, we were hooked on the idea. Those Brits do love their saucy curries. Chicken Tikka Masala is their national dish, after all. EVIDENCE! The case for turkey curry via the New York Times, Nov. 25, 1887 ancient colonial curry. "Mmmm. Turkey curry... my favourite." Freshly chopped cilantro for garnish. 1. Heat oil in a medium saucepan over medium-high heat; add onion, garlic and ginger and cook until they begin to soften, about 2 to 3 minutes. Add cumin, coriander, turmeric and cayenne and cook, stirring, until spices are fragrant, about another minute. 2. Add tomatoes and their juices and coconut milk and sprinkle with salt and pepper; bring mixture to a boil and reduce heat to medium. Simmer for another 8 to 10 minutes, or until tomatoes break down. 3. Add spinach and turkey to pan and continue to cook until spinach wilts and turkey is warmed through, another 3 to 5 minutes. Adjust seasoning, garnish with cilantro and serve. juice of half a lemon, at least. Heat the dripping and fry the onion and celery over a medium heat, tossing them around till softened and well browned at the edges, then add the garlic and toss that around for a minute. Now stir in the flour, turmeric, ginger and curry powder to soak up all the juices, and after that gradually stir in the stock. When the sauce begins to bubble add the apple, sultanas, mango chutney and grated coconut, plus some seasoning. Turn the heat down to a gentle simmer and let it cook for 30 minutes. After that, add the turkey pieces and a squeeze of lemon juice, stir well, put a lid on and simmer gently for a further 10 minutes to reheat the turkey. Serve with basmati rice, poppadoms, mango chutney and lime pickle. For New Year’s Eve, our thoughts turn to a wintery outdoor activity followed by a cozy night in with friends. We swoon for trendy Asian bites or our still as yet unfilled dreams of chicken hash or creamed sherried mushrooms on toast points with Champagne. Click here to see how amazing they look! Mix all the ingredients for the sauce in a small bowl until the sugar has dissolved. 2. In a large bowl, gently combine the ground chuck with the rest of the filling ingredients. 3. Shape a tablespoon of the filling into a small log. Wrap 1 basil leaf around the beef and thread onto a skewer. Repeat until all of the filling is gone. 4. Light one chimney full of charcoal. When all the charcoal is lit and covered with gray ash, pour out and spread coals out evenly over the charcoal grate. Clean and oil the cooking grate. Grill the rolls until the filling is fully cooked and slightly firm, about 6 to 8 minutes, turning once during cooking. Serve immediately with the dipping sauce. Toasted sesame seeds, for garnish. 1. Soak 16 6-inch bamboo skewers in cold water for 1 hour, then drain. 2. Rinse chicken under cold water and pat dry with paper towels. Cut into uniform 1½-inch pieces. On each skewer, thread alternating pieces of chicken and scallions, pressing them together. Cover and refrigerate until ready to grill. 3. Lightly crush white part of reserved scallion. Slice green part into thin rings and reserve. In a small saucepan, combine soy sauce, sugar, mirin, scallion white, garlic, ginger and lemon zest. Place over medium heat and bring to boil. Reduce heat and simmer until syrupy, 5 to 10 minutes. Strain into small bowl and cool to room temperature. If desired, reserve some as a dipping sauce. 4. Heat a grill or hibachi. Brush and oil grill rack, and place yakitori on grill so that ends of skewers are not over direct heat. Sear meat by continually turning skewers for about 2 minutes. Baste with sauce and turn occasionally until chicken is cooked, 8 to 10 minutes. When chicken is done it should feel firm and be coated with a shiny glaze. 5. To serve, place skewers on a platter and sprinkle with scallion rings and sesame seeds. 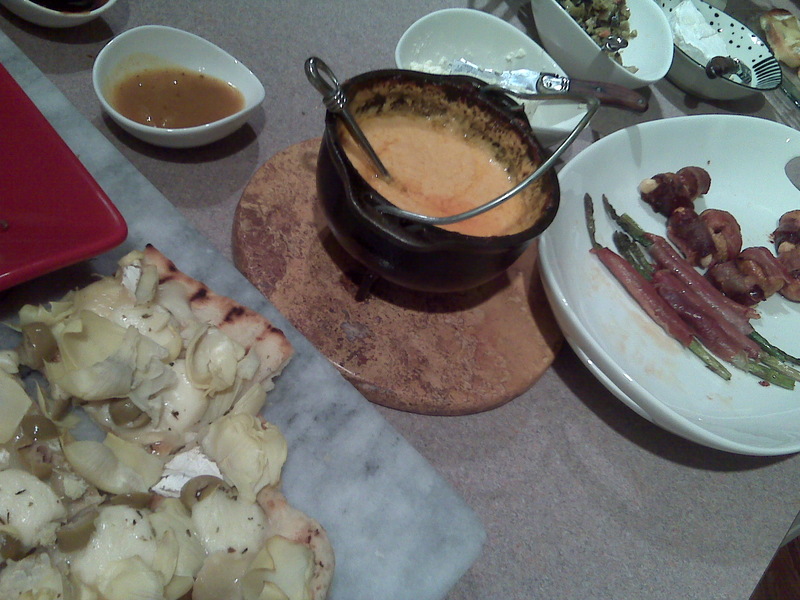 If desired, serve reserved sauce in a small bowl as a dipping sauce. Yield: 4 to 6 appetizer servings or 4 main course servings. New Year’s Eve is coming and there’s one thing we know for certain: we want to master the mothertrucker out of seafood dumplings. What could be more lovely than pinching chopsticks around some luxurious lobster or scallop potstickers and washing them down with bubbly pinot grigio or a Marlborough sauvignon blanc? A ginger sesame dipping sauce is mandatory. But how about a chardonnay/lemongrass buerre blanc or sake-scented ponzu sauce? We’ve also seen them deep fried and served with mayonnaise, but unless it is a lemon/sesame/ginger number, we’re terrified by it. In a food processor, add shrimp, bass, scallops, egg, ginger, and sesame oil. Pulse only a little bit to bring ingredients together. Transfer to a large bowl and fold in scallions and cilantro. Season with salt and pepper. 1. Mince the shrimp and scallops almost into a paste. Place in a shallow bowl and add the crab, garlic or chives, ginger, sherry, soy sauce, sugar, white pepper and egg white. Mix well. 2. To stuff the dumplings, mound about 2 teaspoons of the filling in the center of each wrapper, and brush the outer edges lightly with water to moisten. Fold the wrapper in half, into a half-moon shape, then pinch it together at the center of the top edge. Pleat the edges of the wrapper to enclose the filling. Repeat with the remaining dumplings. 3. To pan-fry the dumplings, heat a 10-inch skillet with a lid over medium heat. Add 2 tablespoons of oil and swirl the pan. When the oil is hot, lay 8 to 10 of the dumplings into the pan, leaving room between each, and cook until the bottoms just start to brown, about 2 minutes. Add one-third cup water and reduce the heat to medium-low. Cover the pan and cook until the dumplings are soft on top, crisp on the bottom and the filling is firm, 5 to 7 minutes. Repeat with the remaining dumplings. 4. To steam the dumplings, use a steamer of your choice, and bring 1 to 2 inches of water to a simmer (make sure the water level does not reach the bottom of the steamer). Lightly grease the steamer rack, and place the dumplings on the rack about 1 inch apart from one another (the dumplings will need to be cooked in batches). Place the steamer over the simmering water and cover. Steam the dumplings until the filling is firm and the wrapper is slightly translucent, 10 to 15 minutes. Remove the steamer from the water, and gently remove the dumplings to a warm place until all of the dumplings are cooked. Serve warm with a dipping sauce. Pick the meat from lobsters and reserve the shells for the dipping sauce. Finely chop meat or process briefly in a food processor. Mince the water chestnuts and then combine with ingredients. Place scallops, salt, pepper, and lemon zest and juice in the bowl of a food processor. Pulse these ingredients together a few times. With machine running, slowly add the olive oil and continue processing until the mixture is smooth. Add the butter and process until smooth again. Remove the mixture from the food processor and fold in the remaining ingredients. To assemble the dumplings, lay out several of the wonton wrappers on a flat surface and brush the edges with the beaten egg mixture. Place a small amount of the lobster/scallop filling in the middle of each wonton wrapper and fold the wrapper over the filling and carefully seal the edges of the dumpling. Of all the appetizers we gorged on Christmas Eve, the prettiest was this artichoke heart petals and green olive pizza. 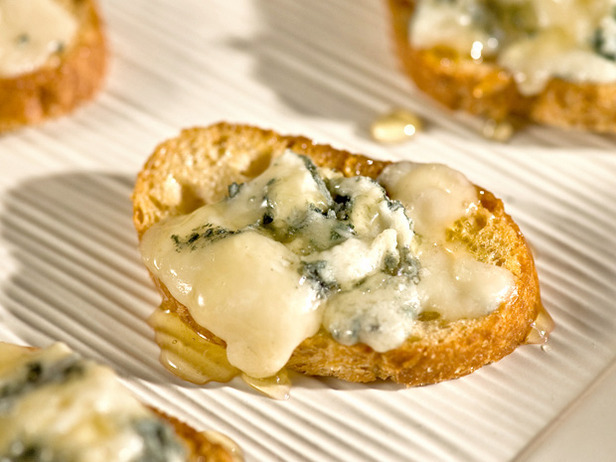 The other bites of super-yum were little toasts of melted gorgonzola, drizzled with honey. Divine! Arrange the sliced baguette on a baking sheet. Brush with olive oil. Bake until the bread is pale golden and crisp, about 10 minutes. Arrange the cheese on the toasts and bake until the cheese is melted, about 3 minutes. Drizzle the toasts with honey. Place on a serving platter and serve immediately. We love that thwack! 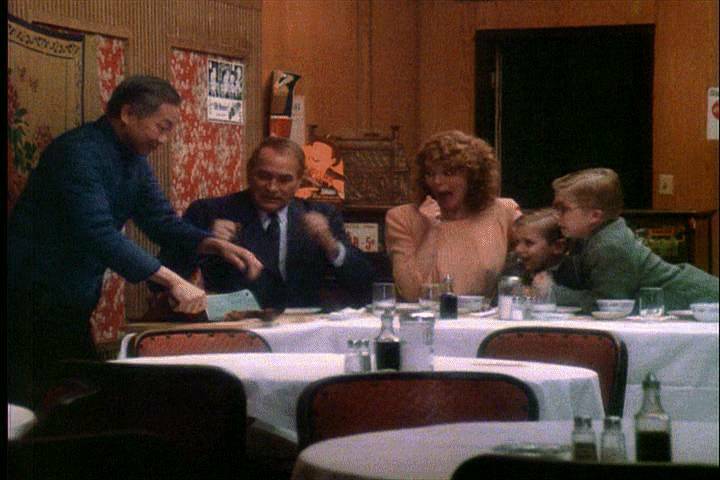 moment in “A Christmas Story” when the head of a roasted Peking duck is cleaved. You remember the Parkers’ yuletide dinner was destroyed when the Bumpus hounds savaged their turkey. 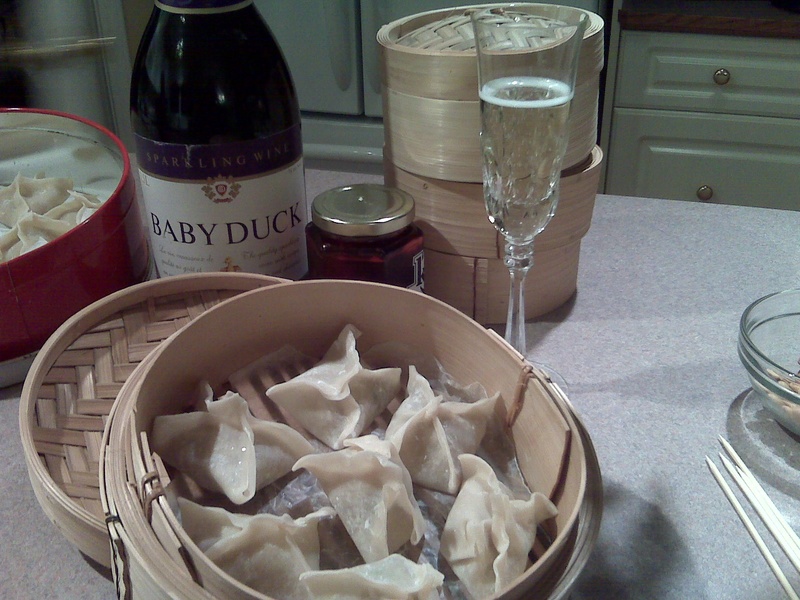 Years later, we remember that “Chinese turkey” scene and we are keen to bust it out Peking duck-style for Christmas Eve hors’d’oeuvres. 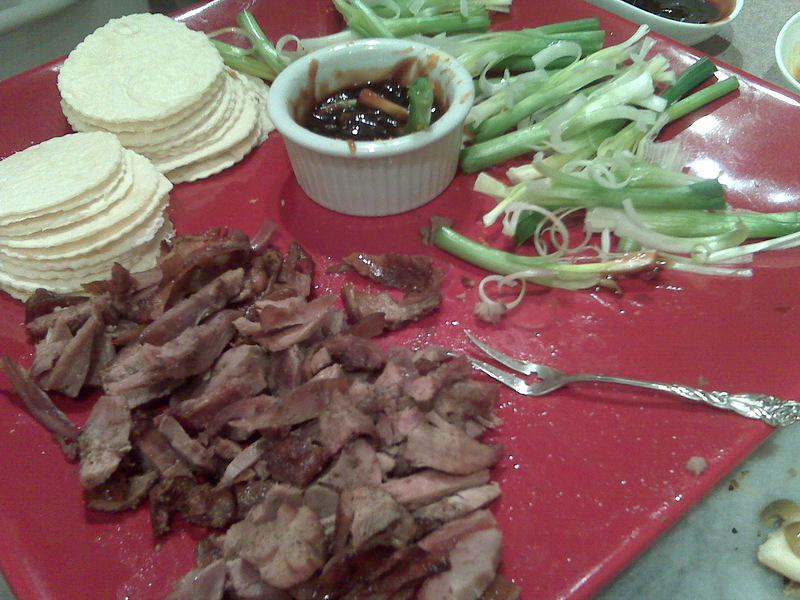 For $20, we snagged a barbecued duck, hacked before our eyes, at the Asian market. Mandarin pancakes are proving harder to find, but we’ll use tortillas in a pinch. Green onions cut into brushes and hoisin sauce with orange peel, and we’re set. DIRECTIONS: Clean duck thoroughly. Blanch the duckling in a pot of boiling water for a few minutes. Remove and dry well. Rub the duck with salt and tie the neck tightly with string. Mix 1 tablespoon oil, chopped green onion, chopped ginger root, tablespoon sugar, rice wine, yellow bean sauce, hoisin sauce, and five-spice powder. 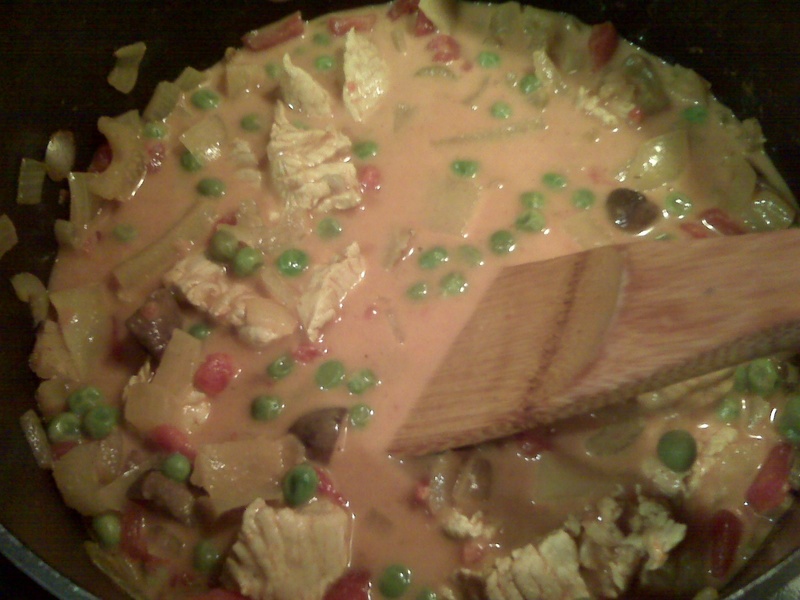 Heat mixture in a sauce pan and bring to a boil, making sure all ingredients are blended well. Pour this mixture into the cavity of the duck. Secure the opening shut with a metal skewer. Dissolve the honey with vinegar and red food coloring in cup of warm water. Brush mixture all over the duck, giving it several coatings. Hang the duck up to air dry for at least 6 hours. Preheat oven to 350 degrees. Fill a tray with 1 to 3 inches of water and place it on the bottom of the oven. Place the duck , breast side up, on a greased rack in the center of the oven. Bake 30 minutes. Then turn the duck breast side down and bake for 45 minutes. Turn the duck one more time, breast side up, and roast for another 30 minutes until the skin turns a dark brown. Baste with coating mixture each time the duck is turned. Remove the metal skewer and pour out the liquid mixture to be used as gravy to pour over the duck. Serve with scallion flowers, hoisin sauce and egg foo yung. In bowl of an electric mixer, cream butter and sugar on medium speed until smooth and light, about 3 to 4 minutes. Add flour, salt, currants, and ginger; mix the dough until well blended, about 3 minutes. Gather the dough into a ball and flatten slightly. Lightly flour a 12-inch/30-cm square piece of parchment paper. Place the dough on top and roll out, using a flour-dusted rolling pin, into a 10-inch/25cm square that is an even 1/4-inch/6mm thick. Cover and refrigerate the dough until firm, about one hour. Preheat the oven to 350F/180C and move oven rack to middle position. Line large baking sheets with parchment paper. Using sharp knife, divide the dough into 10 1-inch/2.5cm wide strips. Cut each strip into 11/2-inch/3cm long shortbreads; place them 1/2-inch/1cm apart on prepared baking sheets. Gather and roll out scraps and cut more shortbreads. Doing one sheet at a time, bake cookies until edges are lightly golden, 12 to 15 minutes. DIRECTIONS: Preheat oven to 325 degrees. Sift flour, sugar, baking soda and salt together into a bowl. Cut in the lard until well mixed. Then add egg and almond extract and mix well. Roll dough into 1-inch balls. Set them 2-inches apart on an ungreased cookie sheet. Place an almond on top of each cookie and press down slightly. Bake for 15-18 minutes. Makes 2 to 2-1/2 dozen cookies.